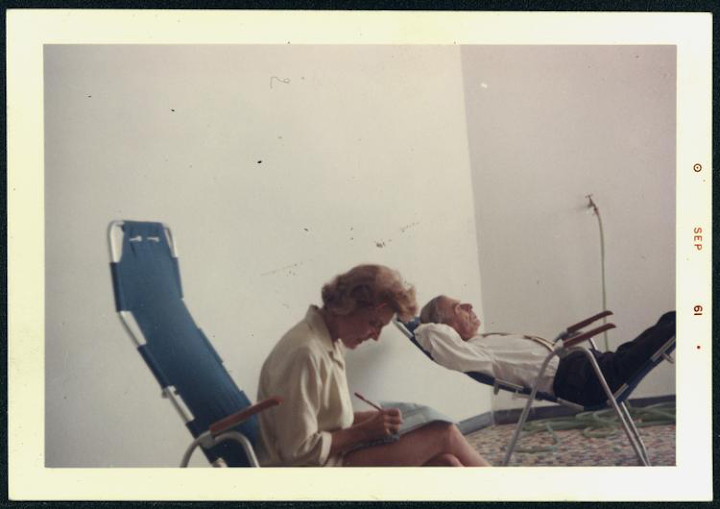 Writer Aldous Huxley in a reclining chair in a patio area with second wife, musician and writer Laura Archera Huxley in September, 1961. The quote is not about me pushing the thoughts expressed as much as something interesting written by someone born in 1894. While it was written in the persona of someone in a novel, let’s assume to some degree – a safe assumption if you’ve read about Huxley, that he believed that quote to some degree. It is not unreasonable for someone who lived through two world wars and saw the beginning of the nuclear proliferation movement, with it’s mutually assured destruction. 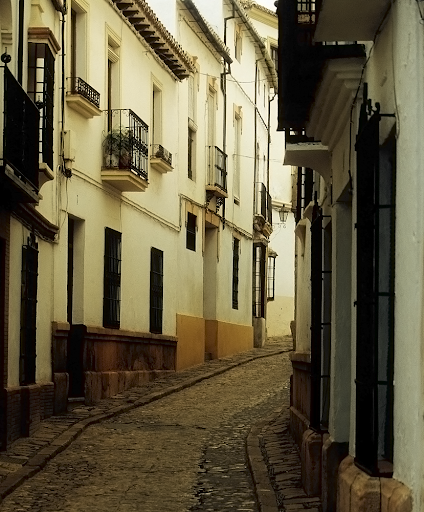 narrow street in Spain. this started out as a project with some muted colors and a little blur, but i liked the way it looked when i changed the washed out 2nd layer to softlight in photoshop. thus soft, rather than muted washed out colors. There were pockets of Catholic practice as well as areas of intense Puritanism, creating a climate of paranoia and fear, particularly in the context of the Civil War. While belief in witchcraft was common, witch-hunts and professional witch hunters like Matthew Hopkins and John Stearne were not. They were to become the forefront of what Professor Malcolm Gaskill of the University of East Anglia terms “the most brutal witch-hunt in English history”. Allegations of witchcraft could be prompted by commonplace events such as the death of livestock, an unexplained illness, or the death of a child. Elizabeth Clarke was accused of witchcraft by a local man, John Rivet, after his wife fell ill. The charges laid against her included the killing of a clothier’s child, and spoiling beer. ….Hopkins and Stearne were the ringmasters but they could not have done it without the help, and belief, of others. “There’s a tendency to think that they are the bogeymen who stand alone and that they are forcing this upon people,” says Gaskill. Hopkins, Stearne and the people they whipped into hysterical fear and superstition were responsible for the death of 100 women. 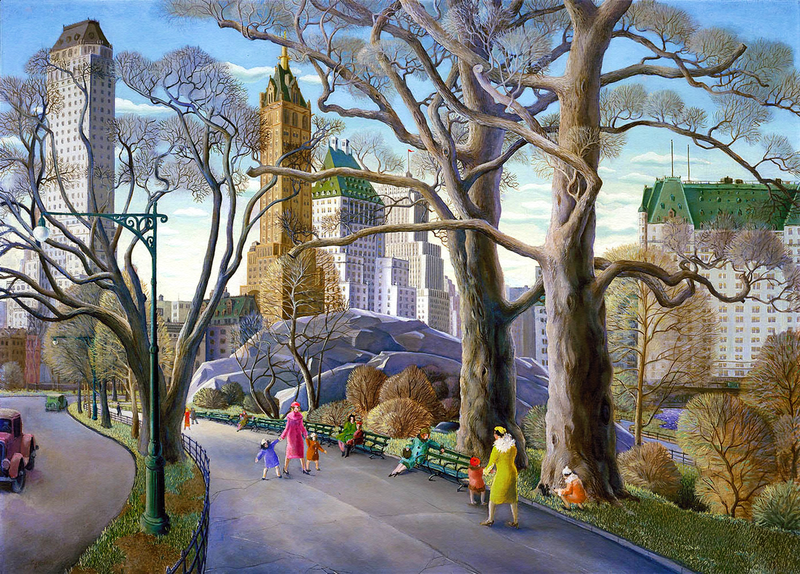 Central Park, 1934 by Carl Gustaf Nelson (born Horby, Sweden 1898-died USA 1988). Nelson took the look on the bright side advice in this painting. It is both an accurate depiction of that area of the park at the time – though he seems to have embellished the colors a bit, it does reflect the way some people were lucky enough to live. Though while he was working on this wonderful painting, in north Central Park at there was another reality. That was where “Hooverville” or the “shanty town” for the homeless was located. Painting: Smithsonian American Art Museum, Transfer from the U.S. Department of Labor. Libertarians’ Idea of the “Most Free” State Is One of America’s Most Woman-Hating. North Dakota is conservative-libertarian paradise according to the Koch brothers affiliated The Mercatus Institute. Ironically or not, located at the public George Mason University. Imagine political philosophy was made of tangibles. The conservative-libertarian concept of freedom is like a jagged rock coated in rat poison. It means you do not have dominion over your own body except access to all the low taxed corporate grown tobacco you want. Freedom means the right to have wage slaves – this are the people who do he work who make other people wealthy. One facet to the implementation of wage slavery is the absurdly named “Right to Work” law. Laws against prostitution laws are counted by conservative-libertarians as anti-freedom, so N.D. got point off for that. Maybe they could convert the women’s health clinics they’re shutting down into centers of prostitution to get their ranking up. 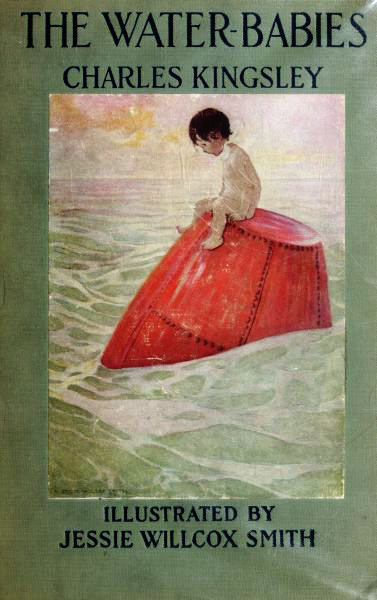 Cover of the The Water Babies by Charles Kingsley, published New York : Dodd, Mead & Co., 1916. The cover and content illustration were done by Jessie Willcox Smith (September 6, 1863 – May 3, 1935). The entire book is now in the public domain and you can read it at Project Gutenberg. 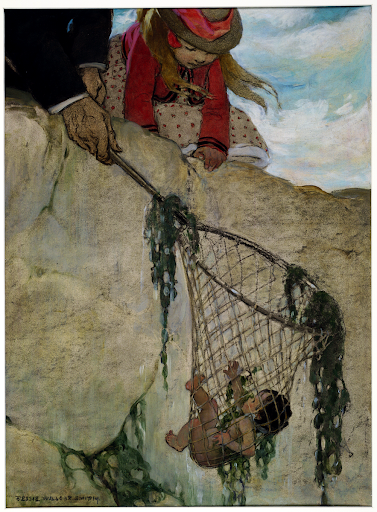 And he groped with his net under the weeds so violently, that, as it befell, he caught poor little Tom. He felt the net very heavy; and lifted it out quickly, with Tom all entangled in the meshes. And he took him out.